Mrs. Melba Montgomery, 89 of Morven, formerly of Trinity, Al. 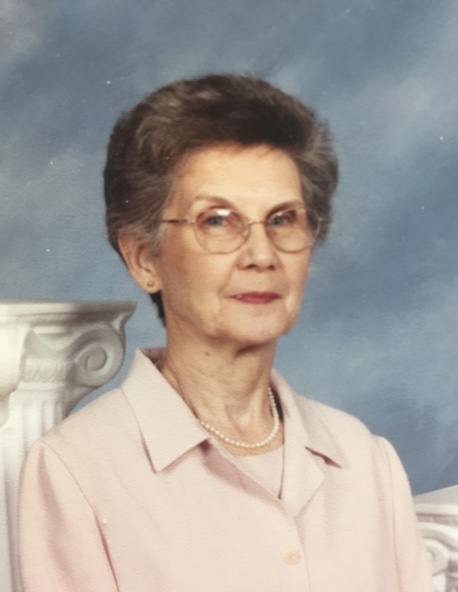 passed away Monday, April 8, 2019 at Fellowship Home in Valdosta. Mrs. Montgomery was born April 19, 1929 to the late Clarence & Girtha Price Bowling. She was a member of Midway Church of Christ. Survivors include her daughter, Beverly (Andrew) Sykes of Quitman GA; two grandchildren, Jon (Brandy) Sykes of Quitman GA, and Alison (Kevin) Cartee of Trinity, AL; six great grandchildren, Morgan Sykes, Lindsey Sykes, Jenna Sykes, Kalli Cartee, Drew Cartee, and Daxton Cartee; sisters, Sue B Johnson of Decatur, AL, Jean B. Parker of Moulton, AL; one brother, O. D. Bowling of Moulton, AL. Mrs. Montgomery was preceded in death by her husband, James Ray Montgomery; son, James Ray Montgomery, jr., five brothers, Ollie Bowling, Freeman Bowling, Cullan Bowling, Evan Bowling, and Dewey Bowling; one sister, Myrl Bowling. Funeral services will be held Sunday, April 14, 2019 at 2:00 p.m. at Parkway Funeral Home in Trinity, AL. Interment will follow at Moulton Memory Gardens. The family will be receiving friends one hour prior to the service at Parkway Funeral Home. In lieu of flowers donations may be made to Georgia Christian School, 4359 Dasher Rd., Valdosta, GA 31601.